July 15, 2018, marks the 30th anniversary of Die Hard, the Bruce Willis action thriller. It is considered a Christmas movie by some despite the fact it was released in the summer. Since it was released, many studios have tried to replicate it’s premise in different situations, like Speed, Die Hard on a bus, Under Siege, Die Hard on a battleship, and many more. What exactly made Die Hard such a damn good movie? I will be pointing out the aspects of what makes it so great. John McClane is a fish-out-of-water character in the movie. He’s not familiar with the city of Los Angeles as he’s just a cop from New York. He is just a regular person who wants to see his wife and kids for the holiday. 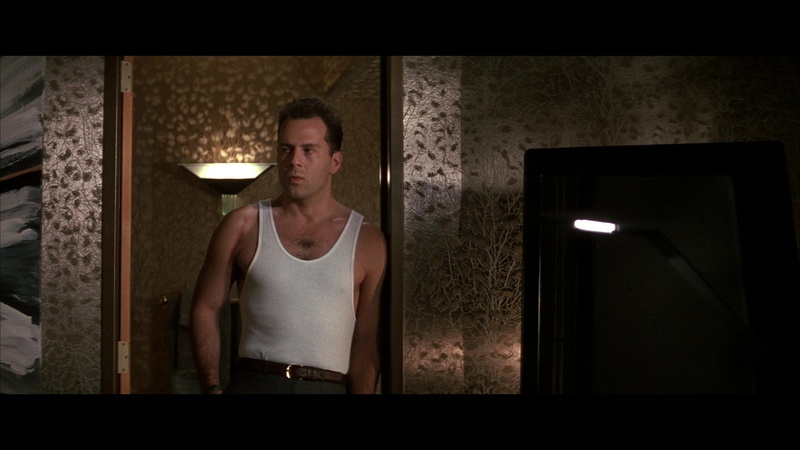 When the party in Nakatomi Plaza gets interrupted, he’s stripped down of everything but his pants and tank top. This gives the viewer a character to root for and get behind. You want to see him make it out alive, you want him to kill the terrorists every chance he gets, and you want to see him get to his wife alive. It also helps when John is spitting out one-liners and talking to himself in the air vents. 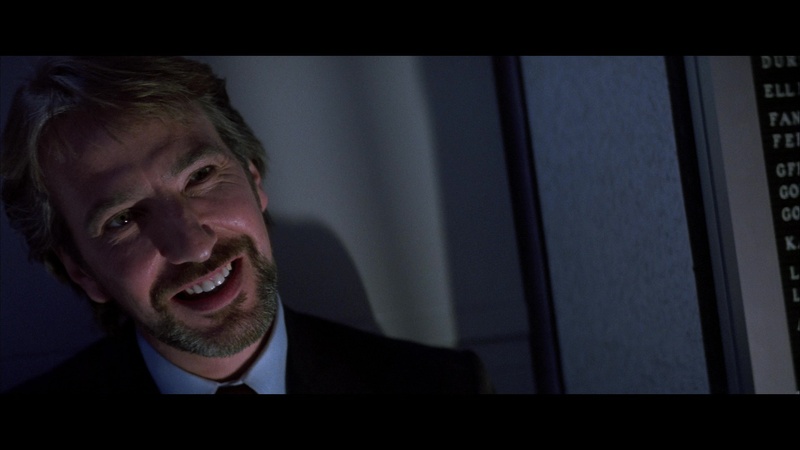 Alan Rickman as German terrorist Hans Gruber was everything a villain should be. He played the mind games, he had the vileness in him, and he had the sinister voice. Alan added so much to his character and was so good at delivering a menacing presence. Hans’ dialogue with John on the 2-way radio gives the viewer more of Hans’ motives. The dialogue also humanizes the two characters, a little more with John since he’s the hero. Alan Rickman’s performance not only served as a villain in the chair but also a villain with plans of getting what he wants. 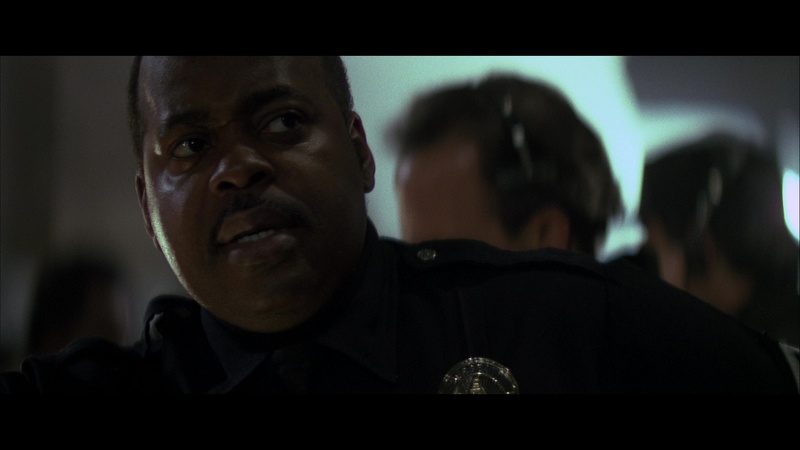 Reginald VelJohnson played a cop named Al Powel. He’s on the ground and can communicate with John up in the tower via radio. The bond that John and Al create goes beyond the two being cops. They talk about their families and Al even opens up about his past. The two have a good connection and it also makes Al more than a supporting character. The two help each other any way possible to get the terrorists out along with the hostiles. It’s always nice to get back up from Carl Winslow. You can’t really talk about Die Hard without talking about the action. The in your face, high octane,free-firing action. But along with the action, there’s also suspense. 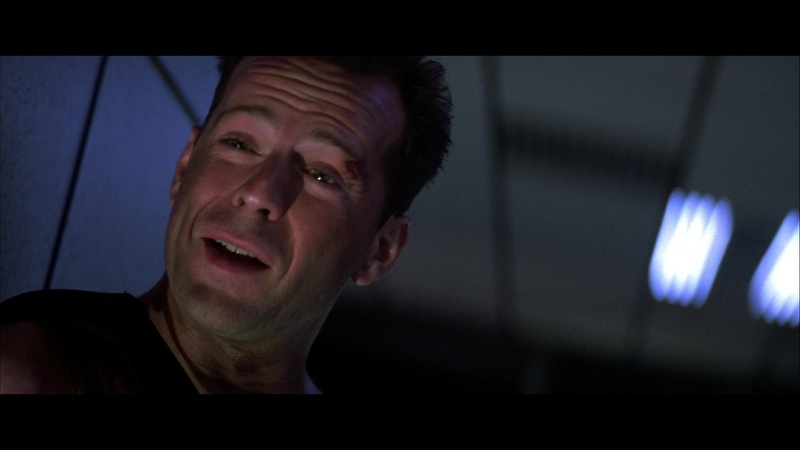 The tension is always on the rise when John Mcclane walks the halls of Nakatomi Plaza. He needs to alert the police, he needs to rescue his wife along with other hostiles, and he needs to kill Hans Gruber. The suspense is never once overshadowed by the action. Die Hard is the greatest action movie ever and even in present time, studios are trying to repeat its success. Truth is, they will never get anywhere as good as Die Hard is. It has a great hero in John McClane, a great villain in Hans Gruber, and a great supporting character in Al Powell. Add it with the right amount of action and suspense and there’s your greatest action movie ever. Make sure to give Die Hard a watch this year to celebrate its 30th anniversary. It’s available for streaming or you can pick up all five films on Blu-ray for a relatively cheap price and have a marathon. College student at the moment, writing reviews for films that are released in theaters. I have way too much time on my hands so I watch movies to pass it. I started writing reviews in May of 2017 and it's gotten me to achieve more as a writer. I want to set out a career in talking about movies because that's what I love to do.